Mouseover images for messages. Click on linked underlined text for more information. Earth is the third planet from the Sun and the fifth largest. Find out what the Earth is made of from the Nine Ten Planets website. Notice the Nine has been changed to Ten (above). That's because a "new" planet has been discovered in our Solar System. Learn more about this cold, dark planet. from the Gulf of Mexico (by evaporation). That is some mega recycling! "Like all stars, the sun is a huge fusion reactor, pumping out 100 million times as much energy in a single second as the entire population of Earth uses in a year!" Layers of the Sun, The Core, Solar Envelope, Photosphere, Chromosphere, Sunspots, Corona, Solar Flares, Prominences, Solar Wind, illustrations and pictures of the sun taken by x-ray. around and above underwater mountains and undersea volcanos ? this pulls more water molecules to them, causing the water level to rise. What is the largest structure on earth created by a living thing? Did you guess a tall skyscraper or a battleship? No, it is a coral reef - Australia's Great Barrier Reef, which is 1,250 miles long (that is as long as half-way across the United States). A coral reef is made up of the hardened skeletons of tiny coral animals called polyps (related to the jellyfish), and billions of living polyps of many beautiful colors. Coral reefs are very important to sealife, providing shelter and food for hundreds of species of living coral animals, many birds, over 1,000 species of fish, mollusks (such as clams and mussels), and crustaceans (such as crabs), and other sealife. Reefs are formed mostly in warm waters and where sunlight can penetrate. Barrier reefs help protect shorelines from sea wave damage by providing a barrier. Coral reefs are being damaged and dying from harmful human activities. The deteriorating condition of coral reefs is causing great environmental concern. Protection is being provided to try and bring life back to the reefs. Just think - tiny animals, most of which are less than one inch, some the size of pinheads, can build the largest structure on Earth! What is the basis of all marine (sea) food chains? Algae. There are more than 25,000 species of algae, all of which contain chlorophyll. The tiniest algae are single-celled, and are so tiny that millions can exist unseen in a gallon of water. Algae release oxygen, which animals and humans need to survive. Of the largest algae are the giant Kelp, seaweed which can reach 200 feet in length, some being able to grow 150 ft in just one year! There are underwater forests of seaweed in the ocean that provide homes and food for sealife. Besides sustaining sealife as a food source, many products have been developed from algae, including: foods, antibiotics, soaps, adhesives, gels, and abrasives used in polishing. Did you know that one of your favorite foods is probably Kelp seaweed with chocolate sauce on it? You don't believe it? If you look up "seaweed" in your encyclopedia, it will tell you that Kelp is full of vitamins and minerals, but its primary value is as a source of algin, which is used to thicken ice cream and other products. You do like chocolate sauce on your ice cream, don't you? in our atmosphere originally came from? and no life on Earth as we know it today. Then about 3.5 billion years ago a bacteria, known as cyanobacteria, evolved which became quite widespread by the Proterozoic period (544 million to 2.5 billion years ago). from the photosynthetic activity of this bacteria. Before this time, the atmosphere did not support life. The other great contribution of the cyanobacteria is the origin of plants. Cyanobacteria are the oldest known fossils on record - and they are still around today! How thick is the layer of Earth's atmosphere? If Earth were the size of an apple, the atmosphere would be no thicker than the apple skin! So a very thin layer of atmosphere provides our life support system and protects us from harmful radiation. Approximately 110,000 million tons of carbon dioxide is released into the atmosphere each year from burning around 5,500 million tons of fossil fuels. That is too much for our fragile atmosphere to handle. We need our forest ecosystems to absorb carbon dioxide and give off oxygen. And we must stop burning fossil fuels and find alternative sources of energy that are not harmful to the environment and our atmosphere. The Day the Earth Got Skinnier! What happened on December 26, 2004 that changed the shape of our planet? Is there a place on the planet where no rain has ever fallen? Yes. The driest place on Earth is Chile's Atacama Desert. It had no rain for approximately 400 years up until 1971. In some parts of this wasteland rain has never fallen. Humans are moving the Earth! Burning a 100 watt light bulb for one hour, with electricity that came from burning fossil fuels, causes 0.1 kilogram of carbon dioxide to be released into the atmosphere. and you will be saving natural resources and helping the environment. all or most of the year. How should wetlands be changed to make them more useful? and yes, you are going to have to do some reading. Did "yew" know that clear-cutting loggers used to trash the Pacific Yew trees in the old-growth forests of the Pacific Northwest? They considered them worthless - until scientists discovered that Taxol in the bark of the Pacific Yew was effective in containing growth of cancer cells. Taxol and the Pacific Yew tree have saved many lives since then. Just think...these trees were once wasted. What if they had become extinct before discovering their importance in medicine? Imagine all the things we will never discover because so many plants, trees, organisms and animals are becoming extinct every day somewhere in the world. so they have devised some incredible methods of survival through the ages. Some freeze "as hard as hockey pucks." Do you think any living thing can survive as an ice cube? and then thaw out and go on happily about its business. this process will lead to discoveries that will save many lives. 106,000 km/h (about 66,000 mph). At these speeds, why don't we fly off the Earth into space? What keeps us "attached" to this speeding, rotating planet? and about the temperature of the surface of the Sun). an outer core of swirling liquid iron alloy. generate the Earth's magnetic field. What does a submarine have in common with a seashell? The Chambered Nautilus has a spiral shell which is divided into chambers, each one larger than the one before. The nautilus (soft-bodied mollusk) that lives inside fills the chambers with gases to rise in the water and reabsorbs the gases to sink. 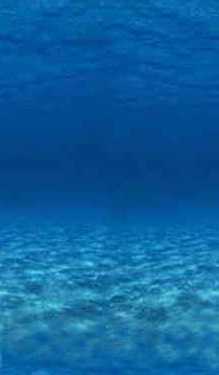 A submarine has compartments (tanks) which are filled with water to dive, and emptied of water to rise. The first nuclear-powered submarine was named "Nautilus" and was the first submarine to sail under the ice at the North Pole (1958). Submarines are used to explore the ocean and do scientific research. as big as the state of New Jersey! When certain conditions exist and an overabundance of nutrients or pollution exist in water, such as in lakes, estuaries and the ocean, an outbreak of plant growth can occur known as an algae bloom. The largest one ever measured occurred in the Gulf of Mexico, near the mouth of the Mississippi River. Algae blooms can cause major environmental damage and kill great numbers of fish. Read more about it on our Oceans page. The Arctic Terns hold the world record for the longest migration of any bird. They spend half the year in the Antarctic, and breed in the Arctic during the summer months. It grows to only 2 inches! An endospore is a unique resting cell produced by some bacteria. Some endospores that have been preserved in amber have remained dormant (inactive) for 25 million years - and then come back to life when extricated and introduced into a favorable environment! Scientists are studying Earth from space to learn about the cycle of life and how our Earth functions. Although these are big, huge complicated subjects - surprisingly, the star performer in mapping and monitoring of the carbon cycle is a tiny single celled organism...vast, drifting fields of them...called phytoplankton. (see The Biological Engine of our Living Planet). Have you tired of your fish hobby, your pet turtle or frog, and the plants that you had growing in their little habitats within your home? Or do you feel sorry for them and want them to be free and returned to nature? How about your pet gorilla - has he gotten too big and now he's taking over? You think you'll be doing them a favor by setting them free? Learn how invasive non-native species can harm the environment. Also, your pet may not live through the day once released into what might be an inhospitable environment for that species. through which all its food has to pass? Did you know that the ocean waters are less salty near the equator? learn more about our Water Planet - The Blue Planet.